When Australian environment ministers sat down to discuss what to do about the China ban on the nation’s domestic rubbish exports last week, plastics industry leaders in Europe were celebrating their first awards ceremony for the circular economy. The new poster child for recycled plastics in Europe is, ironically, a vacuum cleaner. The Grundig model cleaner is reborn from the waste from electronic goods surrendered to the company factory. For industry, it is proof that recycled plastics can be substituted for virgin material to build quality products. Another award winner was a plastic bottle that could be completely recycled, including the lid. What can seem a small thing is actually a big advance, a Holy Grail of plastics and a focus of intense international research. The awards trophies were 3-D printed from 100 per cent recycled plastic from car instrument panels. A multi-colour top for the trophies was made from bottle caps recovered during beach clean-ups. Churchill Fellowship scholar Helen Millicer attended the awards in The Netherlands from Melbourne, as part of a trip that takes in Germany, the European Commission, Britain and Thailand. Millicer, recycling strategy manager of the Vinyl Council of Australia, will meet the best minds in waste management to explore the cost-benefit equation of ­encouraging humans not to foul their own nest. The journey already has taken her to a state-of-the-art incinerator in Amsterdam that imports trash from Britain to help meet its 100MW capacity. But burning waste is one of the options on the table to combat the impact of China’s Green Sword policy, which has cut the pipeline for contaminated waste exports from around the world. China’s waste ban, good news for its own environment, poses difficulties for countries that have come to depend on the trade. “All the sorting centres are clogged. Our stocks are exceeding the allowed limits,” Pascal Genevieve, head of paper at Federec, the federation of French recyclers, told Politico. Plastic, already a dominant global pollution issue, is quickly becoming more pressing. 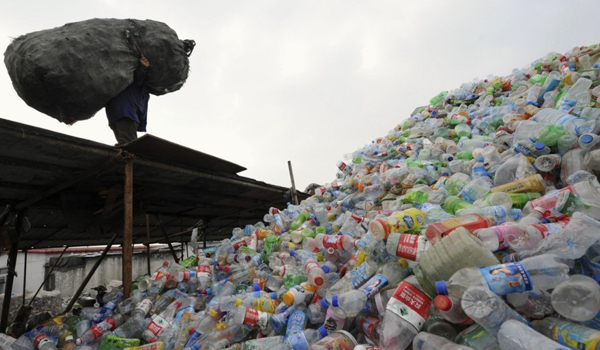 According to one 2014 study China received 56 per cent by weight of global scrap plastic exports. China still wants scrap plastic but it wants it processed into pellets first. Until now, China’s trade in rubbish had made sound economic sense. Cargo ships carry goods from China to Western countries and carry scrap back. China’s booming industries are near major ports and are hungry for plastics. Selling scrap to a broker to be shipped to China is cheaper than sending it to recycling facilities at home, University of California’s Kate O’Neill says. In a global context, Australia is a relatively minor player. Federal Environment Minister Josh Frydenberg says Australia is one of more than 100 countries affected by China’s new restrictions. The ban affects about 1.3 million tonnes, or 4 per cent, of Australia’s recyclable waste, but 35 per cent of recyclable plastics and 30 per cent of recyclable paper and cardboard. The restrictions include new limits on contamination for recycled material that much of Australia’s recycling does not meet.